We NOW have a calendar!! sauces eagles does have another egg I think I reported it. Bev and Beth, the 2018-2019 eagle calendar has not been posted to the forum yet. I may have sent the share request to the wrong address. I now have sent sgb a PM to find out if that is the case and to let me know correct email for sharing so she can embed it into the forum. Sorry for the confusion. 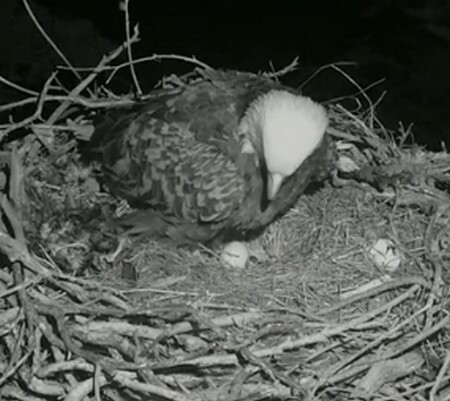 First hatch for Sutton/Sequoyah eagles! PeFa egg #2 has been added to the calendar and Bald Eagle nesting Calendar has now been embedded in the forum!! one egg broke at Sauces. sad day at sauces. second egg broke as well. so sad. hopefully she will lay another egg and it will be O.K. Eagle calendar updated for both eggs at Sauces. hope this one is O.k. Heartbreaking that they are losing their eggs again! !